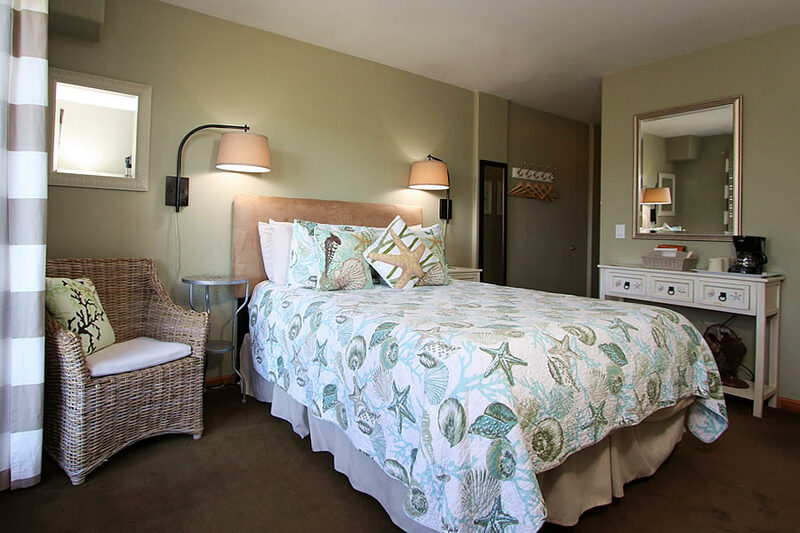 Each of our seven rooms are unique and have features and personalities all their own – Rooms range from small, cozy, and comfortable to a spacious two bedroom suite. 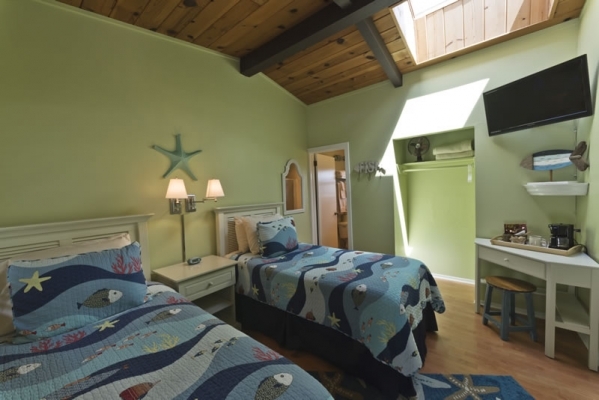 All rooms have WI-FI and a flat screen TV with cable and HBO. Please read the descriptions and pricing below and you are sure to find one that suits your needs. Rates starting at $135. Click here to see our POLICIES. 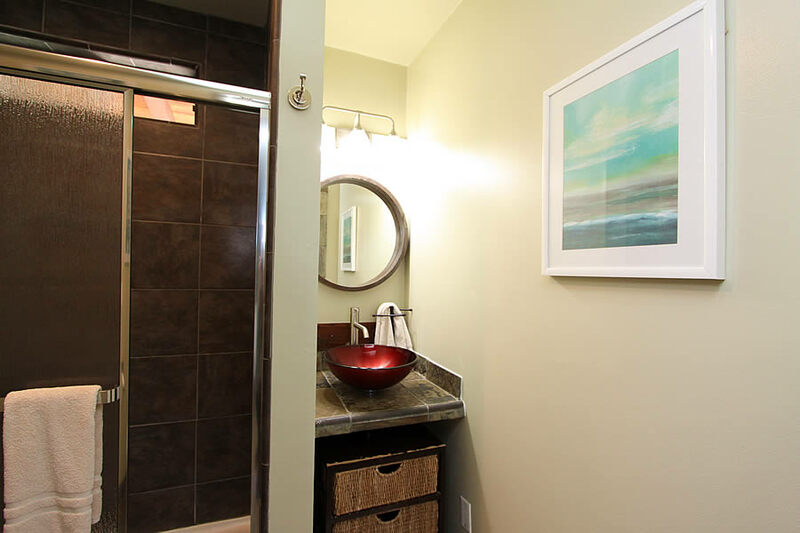 This serene two bedroom suite is the perfect spot for a quiet visit with friends or family. 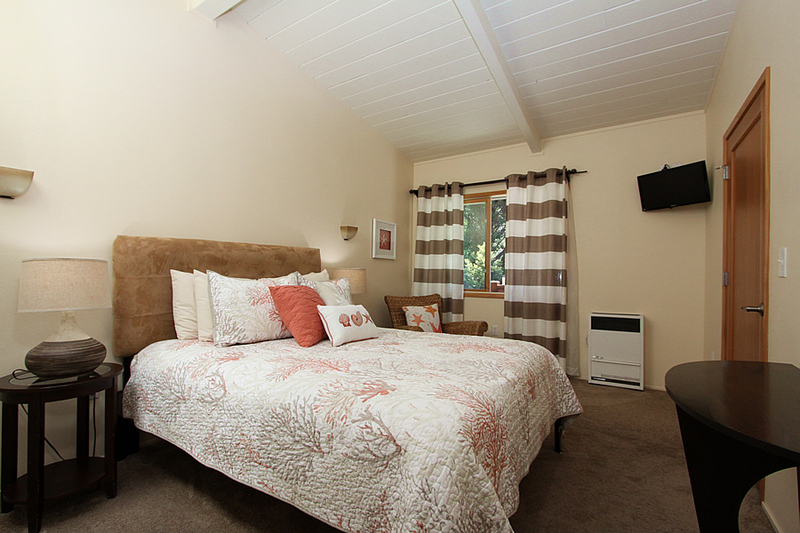 Each of the two bedrooms has a queen bed and sitting area with its own TV. 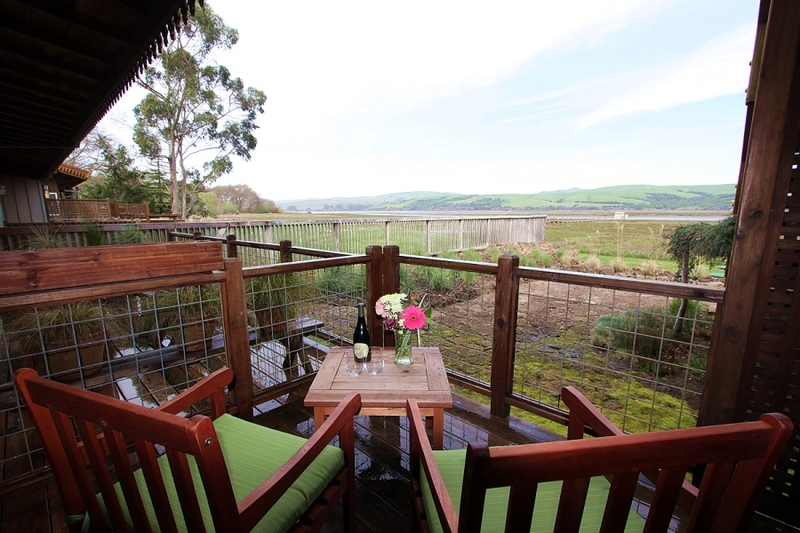 This suite has views from the main room and adjoining deck across Tomales Bay to rolling hills beyond. 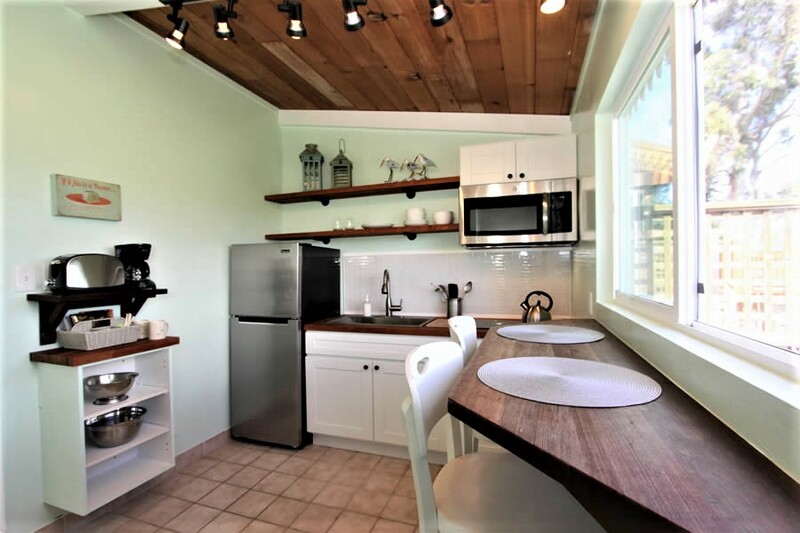 There is a kitchenette with a refrigerator, microwave, toaster, and coffee maker and a large bathroom with a step in tub/shower combination which is ADA compliant. 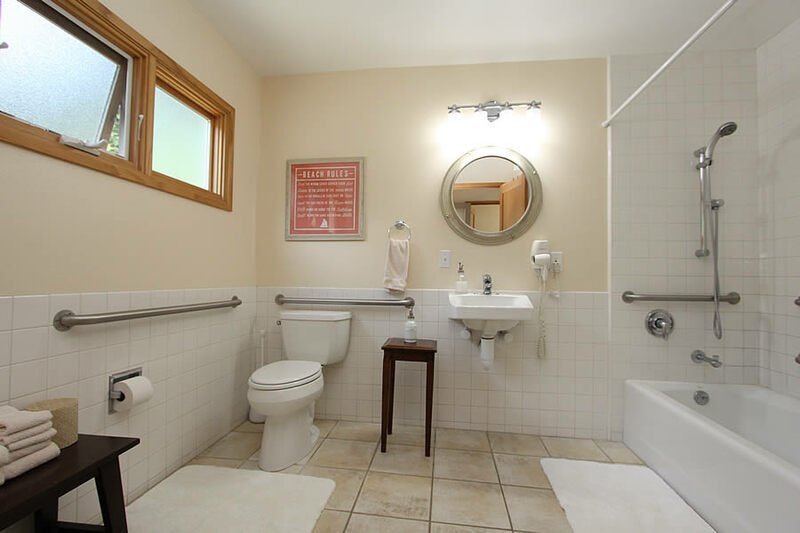 The entire suite is wheelchair accessible with safety bars and turnaround space. 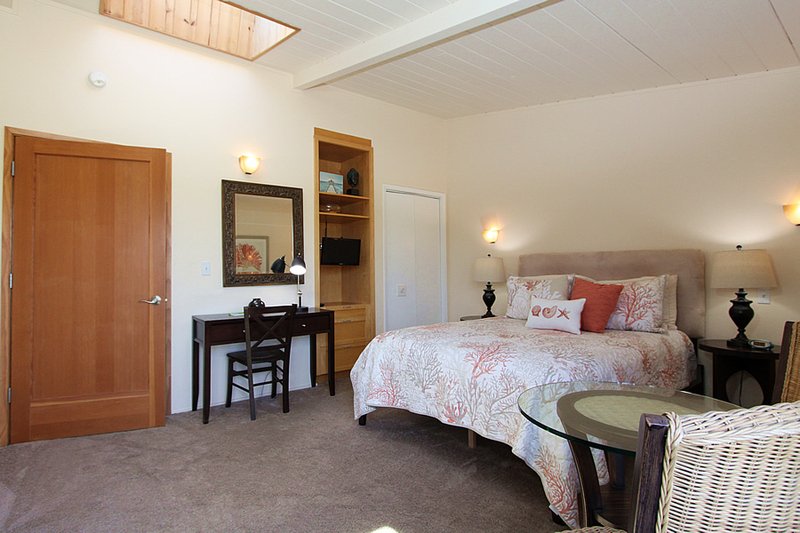 Accommodates four in two queen beds. These sweet, cozy rooms are charming with vaulted ceilings, skylights, and a colorful, casual, relaxed style. Our Lodge Rooms are just right for anyone that enjoys nature and wants a place to relax and sleep after a day enjoying the park. 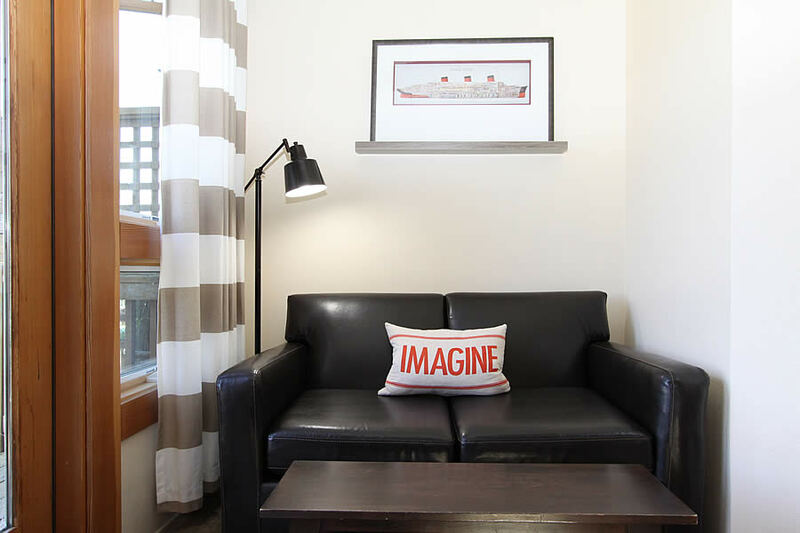 You can join fellow travelers in the comfort of our common area Great Room Lodge and expansive deck, available to all our guests anytime throughout your stay. 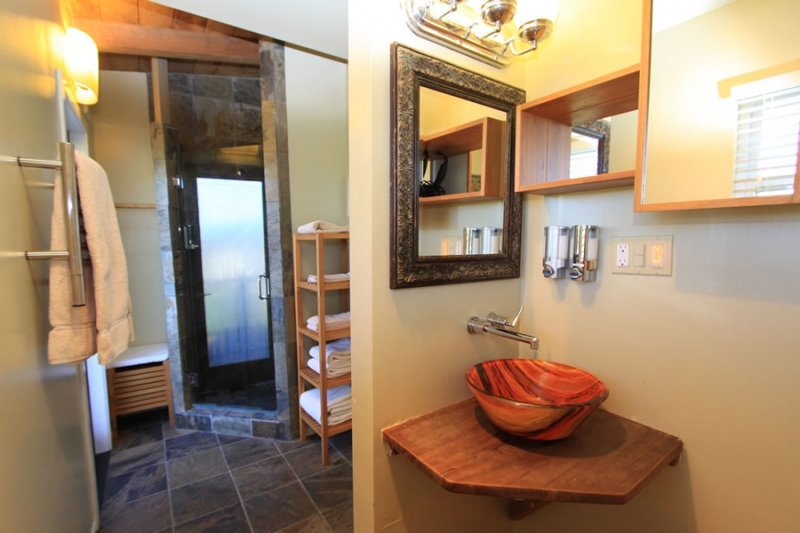 Each Lodge Room has its own private bathroom with a shower. 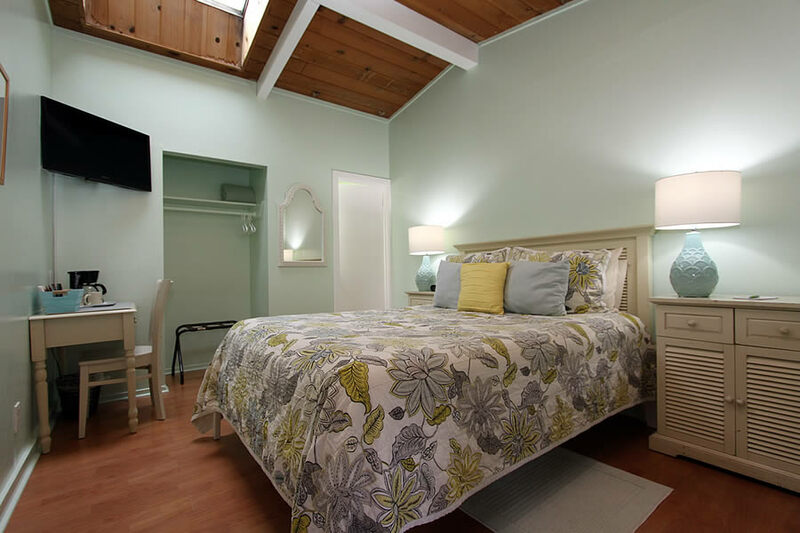 Accommodates 2 guests in either 1 queen or 2 twin (individual) beds. 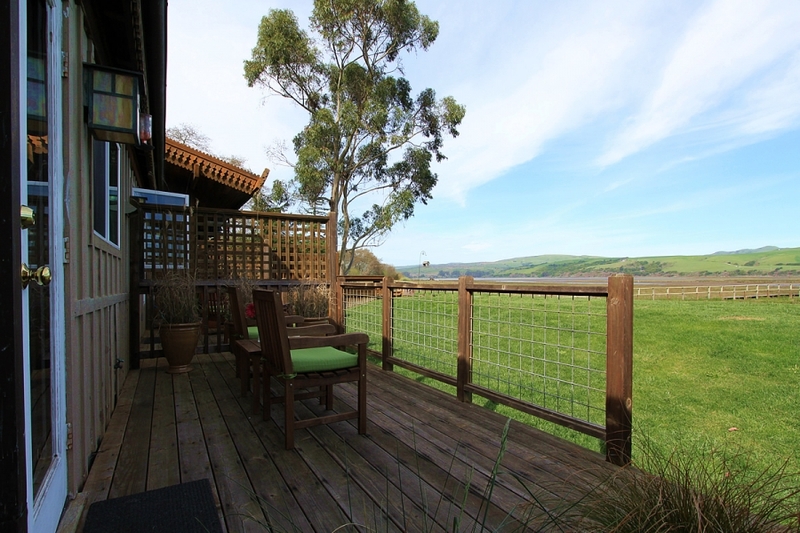 A relaxing retreat featuring a spa inspired bathroom with slate tile, towel warmer, and its own private deck with views of Tomales Bay. Vaulted ceiling, skylight, organic mattress, and a reading chair make this the perfect place to relax and get away from it all. 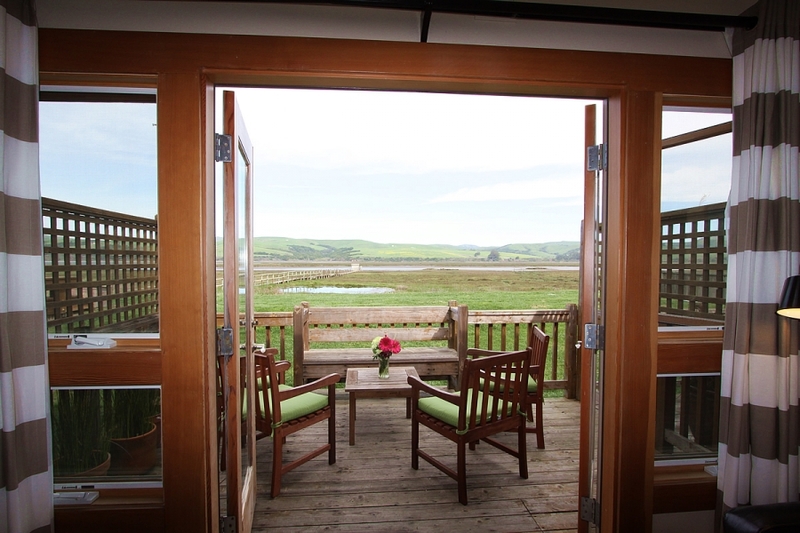 The views across the marsh and the simple pleasures of this room makes this truly a great value with all its amenities. 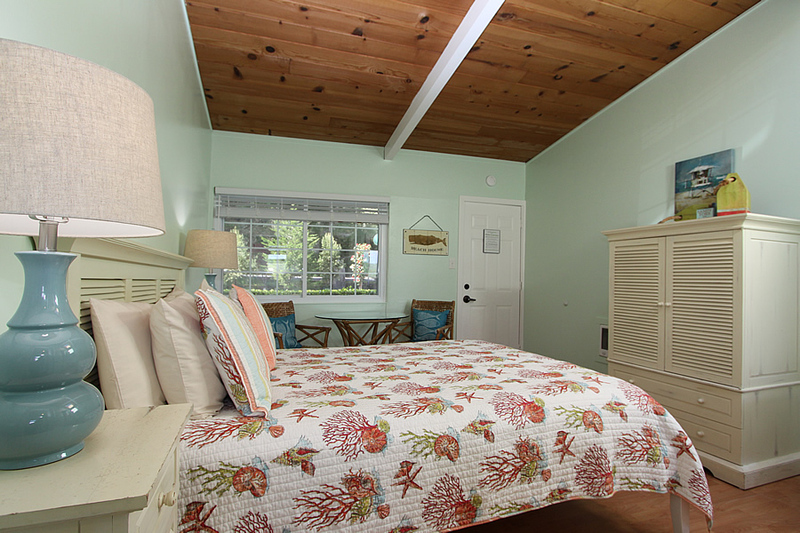 Accommodates 2 people in one all-natural queen bed. 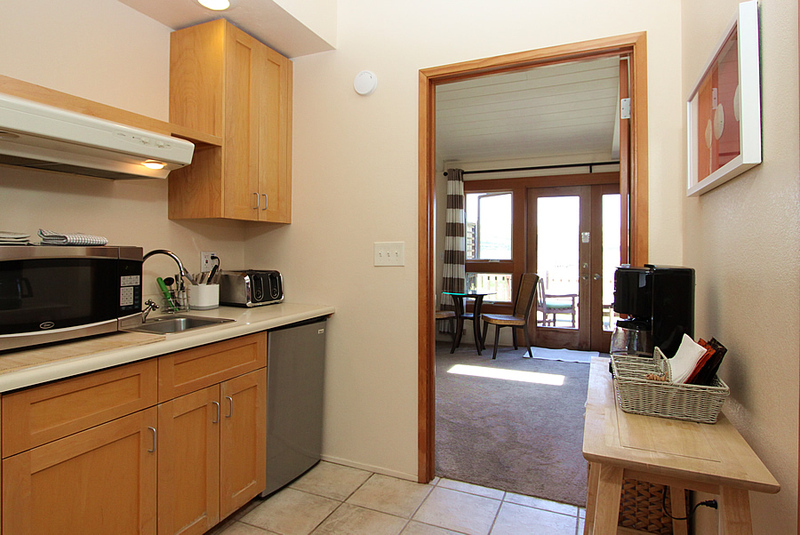 Enjoy dining in or making a gourmet breakfast while you’re away, then this is the perfect suite for you. 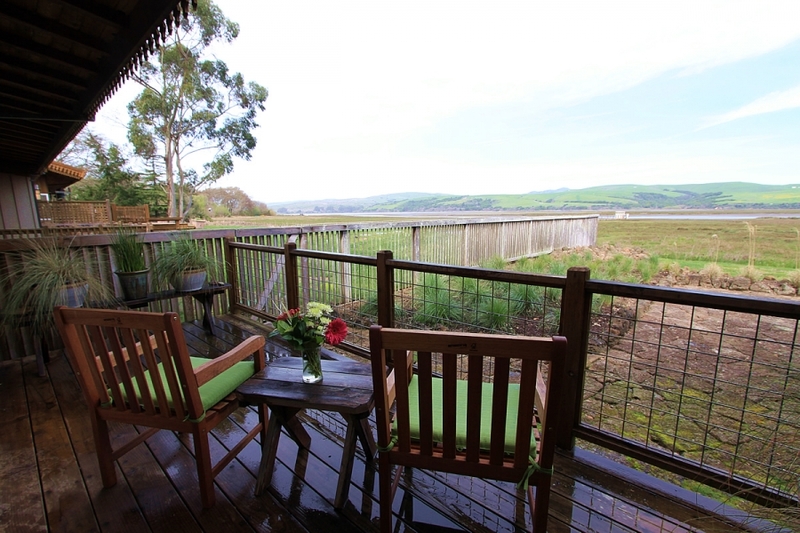 Marvel at the view from the picture window above the kitchen’s breakfast bar or have your morning coffee on the deck and gaze out over the bay to the rolling hills. 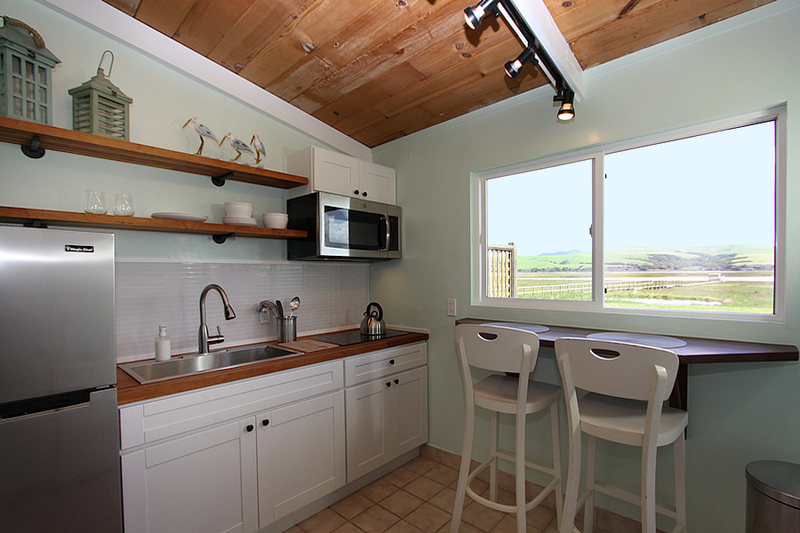 *Kitchen is equipped for whipping up your own creations, including dishes and utensils. This popular suite features a vaulted ceiling, skylight, and a table and chairs for in room dining. 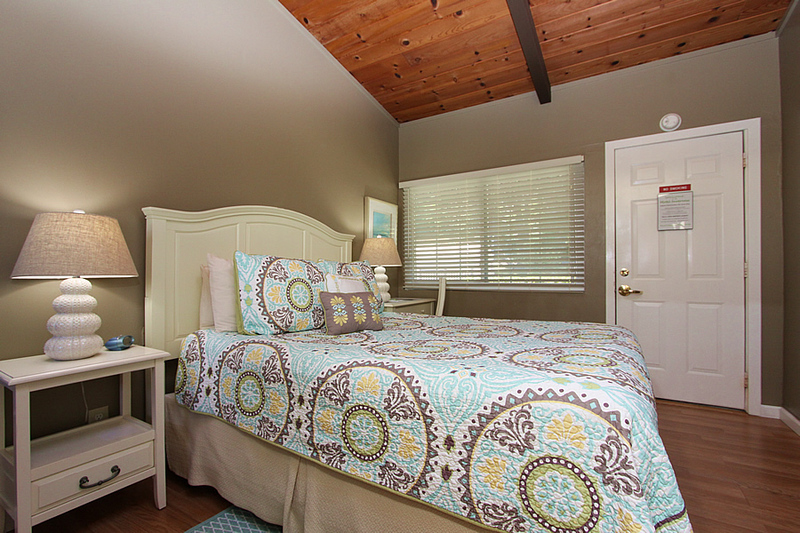 This cozy room has everything you need while still enjoying the comforts of home. 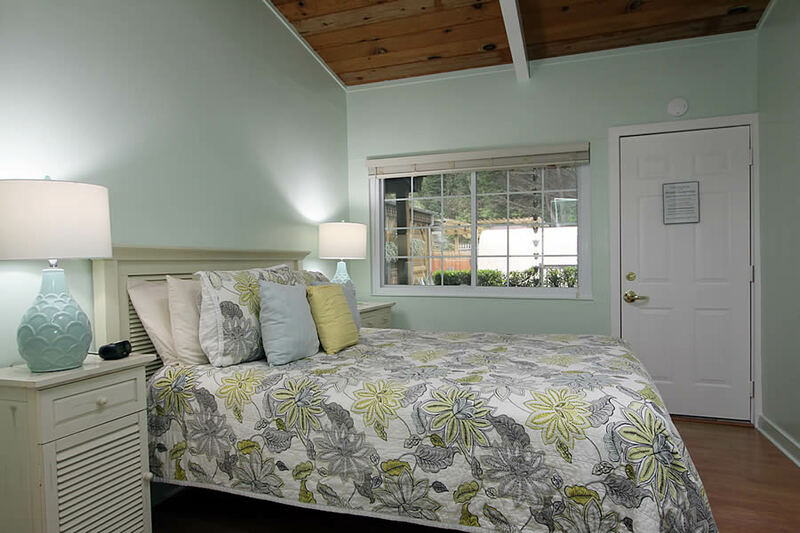 Accommodates 2 people in a one queen bed. 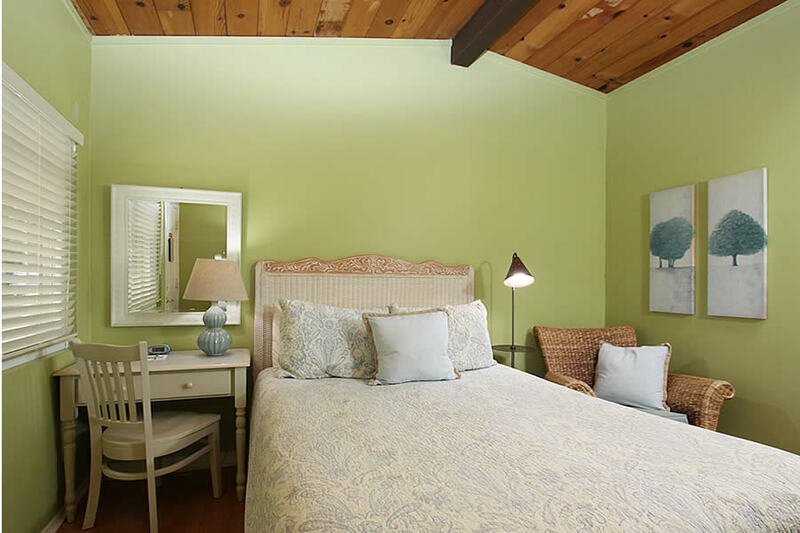 This intimate room offers a fabulous view of our back garden and the salt marsh as you lie in bed or relax in the reading chair. Open the sliding glass door to your deck where you can watch the small marsh birds and quails flit around. The bathroom with its spa inspired spacious shower sits at the entrance making this our most private room. Perfect for a romantic weekend or special occasion celebration. Accommodates 2 people in one Queen bed.